oomph. : LBD + chevron tights. 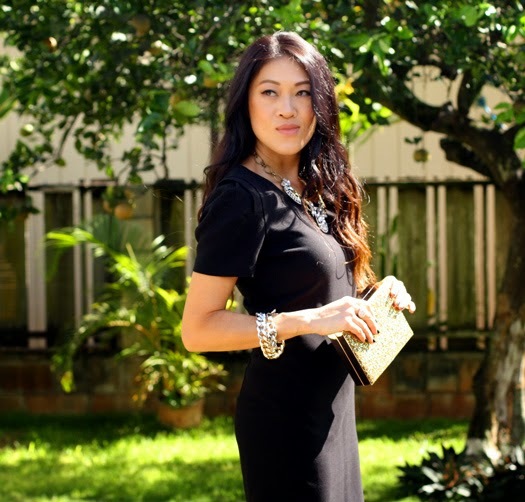 an LBD for this semi-wordless wednesday. add oomph to an all black outfit with textural elements like these chevron tights and quilted heels. first time at Wing Stop as they recently opened here: 20-piece boneless (teriyaki, garlic parmesan, louisiana rub) + veggies, fries, and 2 drinks = $28. the wait time was pretty long, but i thought the food was pretty decent. my favorite of the three we tried was the teriyaki with ranch dip. 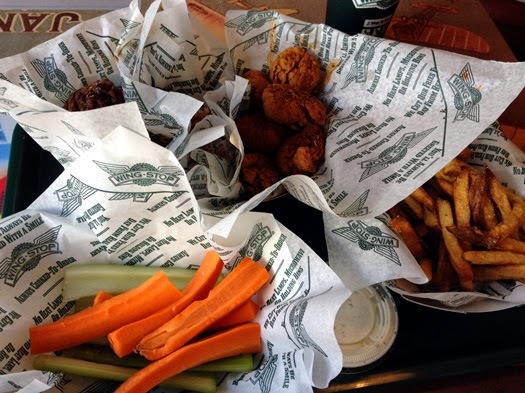 do you have a Wing Stop near you? Love your outfit!! That dress is fantastic. So elegant. I'm a big fan of patterned tights for adding subtle visual excitement. Yours work perfectly here. This is an outfit to be proud of. I don't know if I've ever told you but you dress so well that you inspire me in ways beyond fashion. Sassy! You always look great but I especially love you in this LBD! The dress looks fab on you and I love the subtle texture your chevron tights and quilted heels give to the entire look. Can't go wrong with all black! Love the dress on you R! very classy and elegant look! I think I need your tights, I love them! Those are so cool. I have a similar black dress and those would be perfect with it. Love this all black look, so many great textures! i'm so full from dinner and then those buffalo wings.. ahhh. 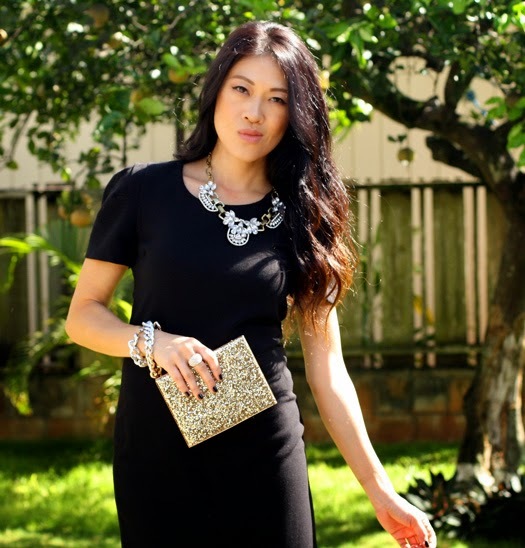 but this little black dress is seriously perfect! looking for a new one at the moment, I hope I can find something similar!